Sofia Boutella is a well known Algerian-French dancer and actress. She first became known to the masses for playing ‘Nike Girl’ in the Nike Women advertising campaigns. She has starred in many popular films and recognized for her roles as Gazelle in Kingsman: The Secret Service, as Jaylah in Star Trek Beyond, and as Princess Ahmanet in The Mummy. Sofia Boutella was born on the 3rd of April 1982, in Bab El Oued, Algiers, Algeria. She is currently 37 years old. Sofia attended Berklee College of Music in Boston, Massachusetts. Sofia Boutella dated her co-star and Irish actor Robert Sheehan from 2014 until they broke up in 2018. Rumours sparkled in 2017 that Sofia and her co-star from Star Trek Beyond, Chris Pine were romantically linked up with each other. They appeared together at the Coachella music festival in April 2017. Sofia Boutella made her onscreen debut in the 2012 British dance drama film StreetDance 2 for her role as Eva. In 2001, she appeared in an episode of the TV crime drama series Les Cordier, juge et flic. Being a well-established dancer, she was picked by choreographer Jamie King for Nike commercial. She went on to be a lead dancer in several concert tours alongside stars Madonna and Rihanna. Sofia has appeared in many advertising campaigns for Nike, Puma, Reebok and Adidas. She has a net worth of $4 million. She started to learn classical dance when she was five years old. At 10, she moved to France along with her family, where she started rhythmic gymnastics and joined the French national team at age 18. Sofia is proficient in hip hop and street dance and used to be a member of the group called the Vagabond Crew. She started dance training from choreographer Blanca Li since the age of 17. Sofia cities her dance influences as Fred Astaire, Jean-Michel Basquiat, Daniel Day-Lewis, and Bob Fosse. In 2017, she starred in the HBO film Fahrenheit 451, which stars Michael B. Jordan and Michael Shannon. She has won several dance competitions including Freestyle championship in Los Angeles and the breakdance championship at St. Denis in Paris. In 2017, she starred alongside Charlize Theron in Atomic Blonde, the film adaptation of the graphic novel The Coldest City, as undercover French agent Delphine Lasalle. 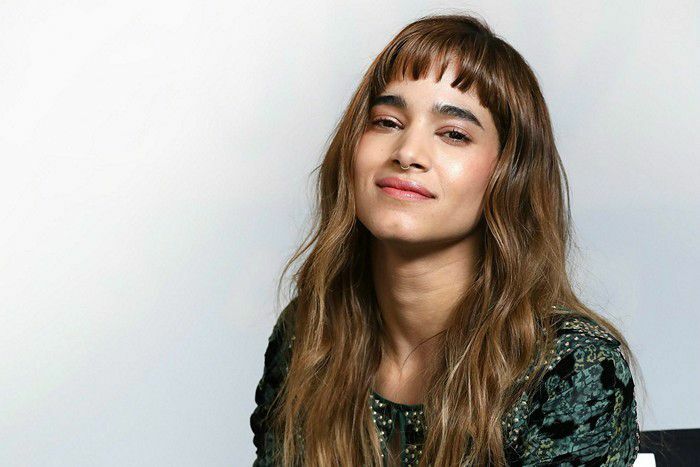 Sofia Boutella has appeared in several music videos for artists including Jamiroquai, Madonna, Rihanna, Chris Brown, Usher, Ne-Yo, Michael Jackson, among others.